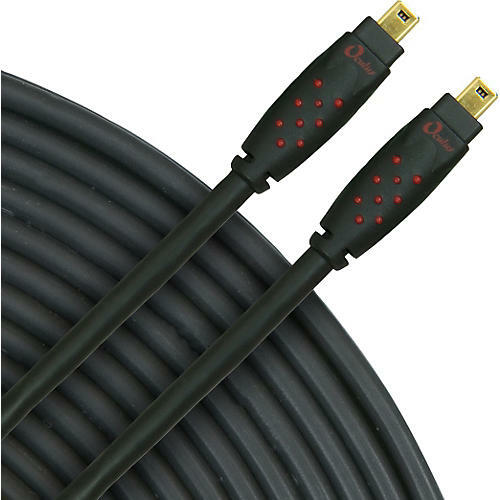 RapcoHorizon O-FW44M-8 4-circuit FireWire 400 cable features stranded, tinned-copper 26AWG signal conductors; high-quality, abrasion-resistant PVC jacket covered in braided sleeving; precision-molded 24K gold plated connectors; and foamed polyethylene dielectric. Uses three separate shields for maximum noise isolation. 4-circuit to 4-circuit connection.